At 0103 hours, Dauphin County Box 38-4 sent Company 38 (Dauphin-Middle Paxton), Rescue 2 (Duncannon), Truck 32 (Progress), Tankers 29 (Halifax), 37 (Rescue-Susquehanna), 2 (Duncannon), and Air 35 (Linglestown) to 1571 Mountain Road for a reported house fire. 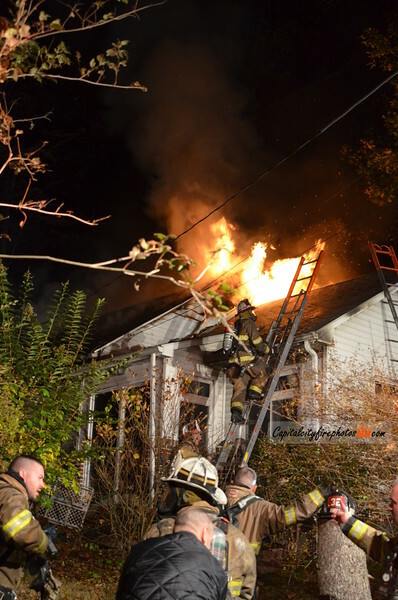 A firefighter from Company 38 reported a working fire with heavy fire from the rear of a one-story, single family, dwelling. Engine 38 arrived and dropped a supply line on Mountain Rd. and proceeded down the driveway. Engine 2 picked up the supply line. The first alarm was transmitted at 0112 hours bringing Engines 29-1 (Halifax), 32 (Progress), 37 (Rescue-Susquehanna), 1-20 (Summerdale), 2 (Duncannon), Tankers 35 (Linglestown), 20 (Summerdale), 17 (West Enola). Interior crews reported hoarding conditions inside. 3 lines were stretched and operated and the fire was placed under control around 0200 hours.